The Sonoma Collection brings inspired design and intelligent functionality to the modern bathroom. The Sonoma 39-inch x 28-inch mirror with Matte metal frame harmonizes with the collection's vanities and wall cabinet for a contemporary, coordinated design palette. It can also stand alone as a graceful accent piece. Simple wood frame rectangular mirror features high quality mirror to prevent rusting caused by bathroom humidity.27.6Wx2Dxx36.6H * ** * Birch* Black* No Assembly Required Faucet and mirror not included. Professional installation recommeneded. A rectangular wood frame mirror, made with solid birch wood in espresso finish. It is warm and sophisticated to add to any bathroom. 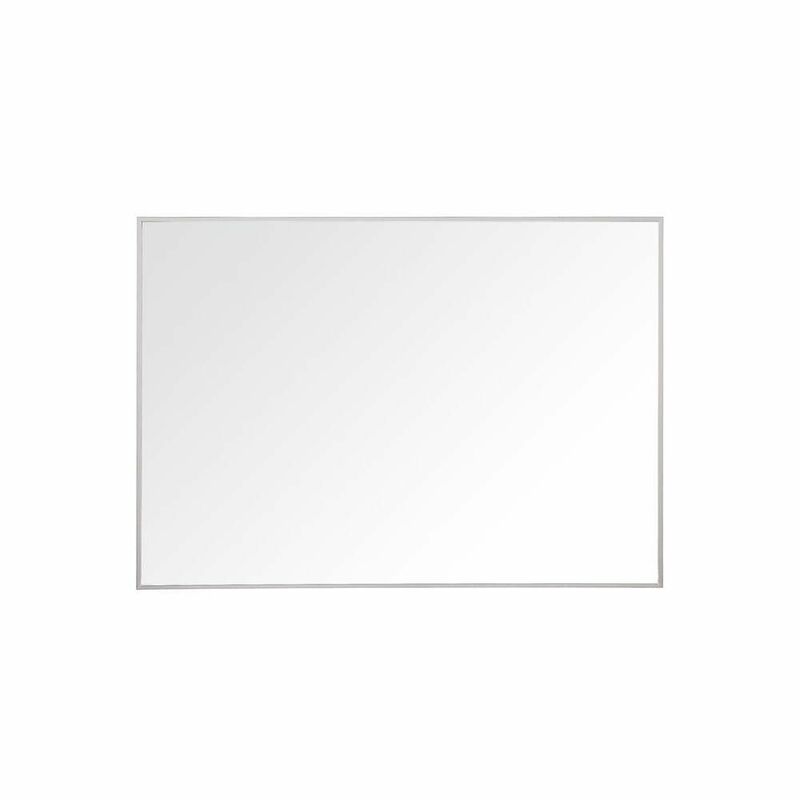 The mirror is a high quality 0.6-inch thick mirror prevent rusting against bathroom humidity. Mirror Dimension: 30-inch W x 1-inch D x 36-inch H.
Sonoma 28-inch L x 39-inch W Framed Wall Mirror in Nickel The Sonoma Collection brings inspired design and intelligent functionality to the modern bathroom. The Sonoma 39-inch x 28-inch mirror with Matte metal frame harmonizes with the collection's vanities and wall cabinet for a contemporary, coordinated design palette. It can also stand alone as a graceful accent piece. Sonoma 28-inch L x 39-inch W Framed Wall Mirror in Nickel is rated 5.0 out of 5 by 3. Rated 5 out of 5 by Mark from Not wide enough, sent back for 59" wide. Not wide enough, sent back for 59" wide. Rated 5 out of 5 by JT from Great looking mirror Ordered the mirror online to complete a bathroom remodel. When the mirror arrived the box was in bad shape, but the mirror inside was well protected. It looks great on the wall and ties in with the other nickel fixtures in the updated bathroom.